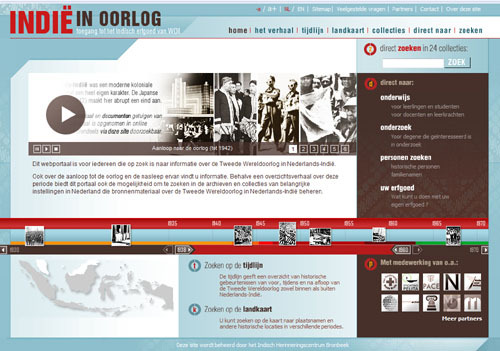 On this site the MUMA, in collaboration with the National Archives, shows data on the Moluccans at the time they arrived in the Netherlands in 1951. This site also shows data on Moluccans with different arrivals history. In addition this site also includes extensive historical background information. Through this website, people can search through the collections of a number of important heritage institutions by searching on materials regarding Indonesia and the Moluccas. The emphasis lies on the Second World War and its aftermath. The site is very illustrative with maps and timelines, and provides an extensive background information. Information on the history of newcomers in the Netherlands from 1580 to the present. There is also seen a movie of Schattenberg from MHM archive. The Royal Library has made many image collections from many cultural institutions accessible through the website ‘The Memory of the Netherlands’. The collection of the MHM has been added under the title ‘Moluccan history and culture in pictures’. 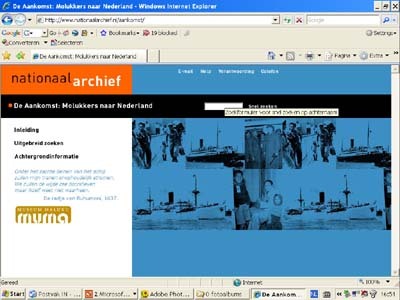 There can be found 10.000 images of Moluccans and of Moluccan communities in the Netherlands. The collection varies from the period of 1900 to 2004. Search for names, village of origin and pela relationships. 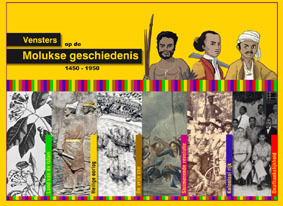 A website of the LSEM with the Moluccan history from 1450 to 1950.